The Erevon Conversion Kits include hardware, software and installation to transform your Gas Guzzling jeep into a fully Electric Vehicle. Also available for G-Class Mercedes, Toyota Land Cruisers, and Land Rover Defenders. Our interface is what makes our product unique. Manage all functions of your EV vehicle with the custom dashboard. Control the Powerplant, chargers and controllers, as well as general features such as Integrated Navigation, Bluetooth Calling as well as Apple Carplay or Android Auto. 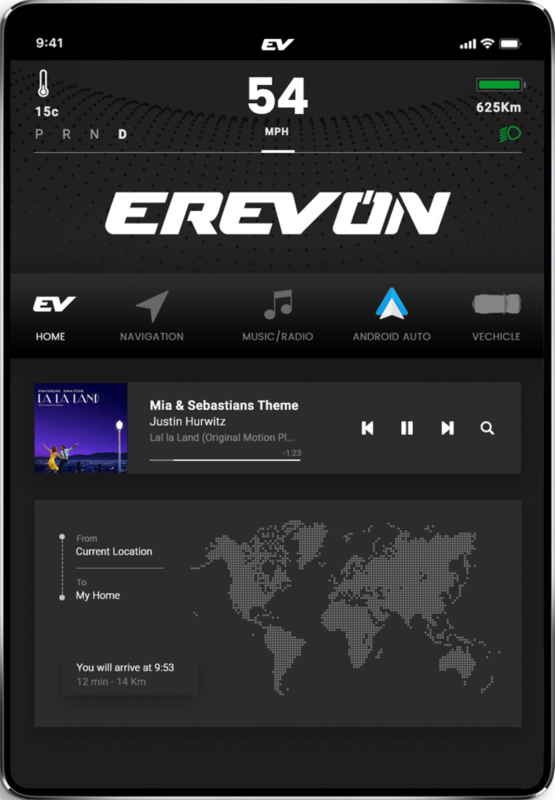 The Erevon Dashboard has integreated Speedomete, Tachometer and Battery level and Range status on all screens. Your Erevon Dashboard is has standard GPS functionalities integrated. For Map and Navigation purposes, direct with Google Maps. AM/FM Radio as well 10 GB of storage for you video and audio files with Sound and EQ functions. Spotify and Apple music are also optional features. You dashboard will help you navigate standard vehicle functions as well as drivetrain status, including battery levels, charging specs and general controls. 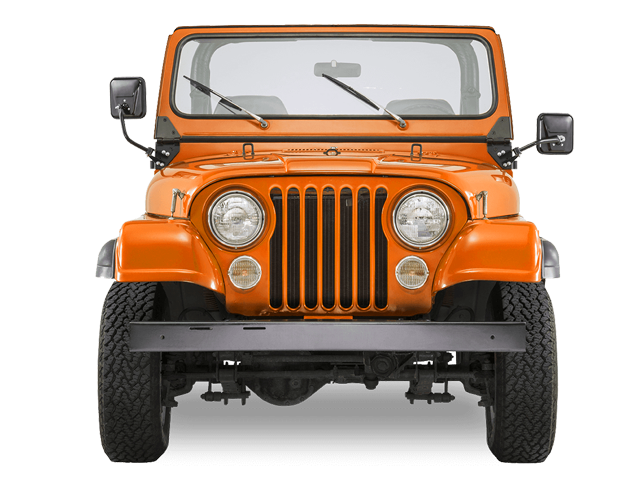 Erevon currently supports all classic Jeep models from 1976 CJ's to 2006 TJ. We are currently developing a package for Land Rover Defenders, Toyota land Cruisers and Mercedes G-Class. The Jeep CJ models are both a series and a range of small, open-bodied off-road vehicles and compact pickup trucks, built and sold by several successive incarnations of the Jeep automobile marque from 1945 to 1986. … The Jeep CJ-7 was replaced in 1986 by the similar-looking Jeep Wrangler. 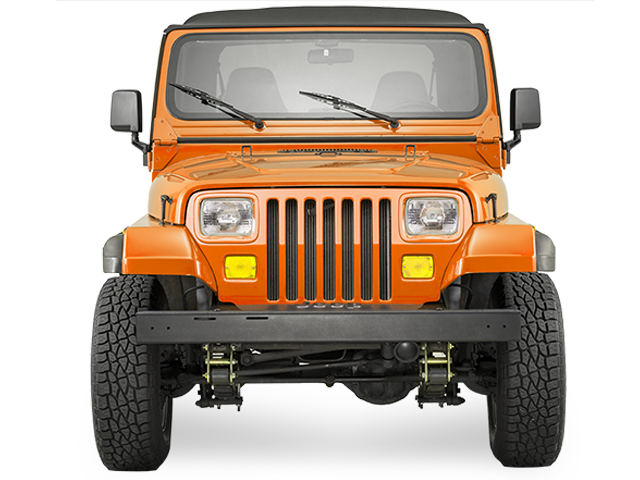 he Jeep Wrangler (TJ) is the second generation of the Jeep Wrangler off-road and sport utility vehicle. 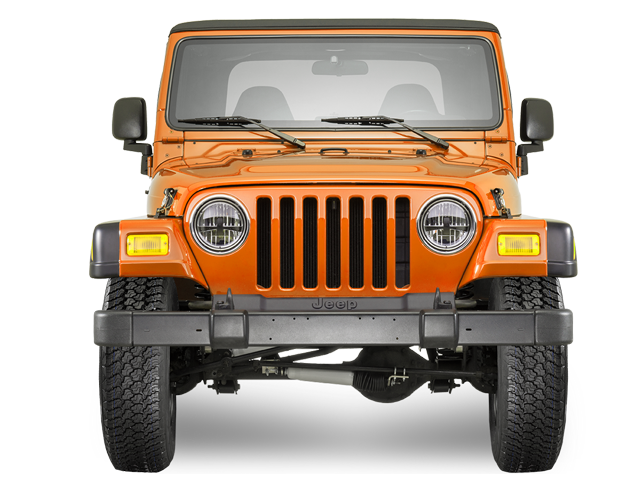 Introduced in 1996 as a 1997 model, the TJ reintroduced the circular headlights the classic Jeep models had been known for. Contrary to the original Willys MB, the CJ Jeeps, and the Wrangler YJ, starting with the TJ all Wranglers were fitted with coil springsuspension instead of leaf-springs. In 2004 the name Unlimited was introduced for the long-wheelbase version. The Jeep Wrangler YJ is a model of Jeep offroad vehicle that was in production between 1986 and 1995. Development of a potential CJ-7 replacement was green-lighted in 1982, with engineering and design work (under Chuck Mashigan) commencing. After approval earlier in 1983, a final design freeze occurred by the fall of 1983, with CJ-7 based mules being built in late 1983 and the first production body test prototypes in the spring of 1984. By late 1985, development concluded, as the transition from pilot to series production began. In February 1986, the 1987 Jeep Wrangler was unveiled, entering production that March, and going on sale on May 13, 1986. Erevon is a product by ShooGa Marketing.